Don’t let dryness hold you back. When your body or hair needs a moisture boost, treat yourself to our formulas infused with luxurious, hand-crushed Moroccan argan oil, which is known as one of our planet's exceptional moisturizers. Our formulas will leave your skin and hair feeling hydrated and renewed. Nobody knows dryness like the Sahara, which happens to be where Argan trees grow. 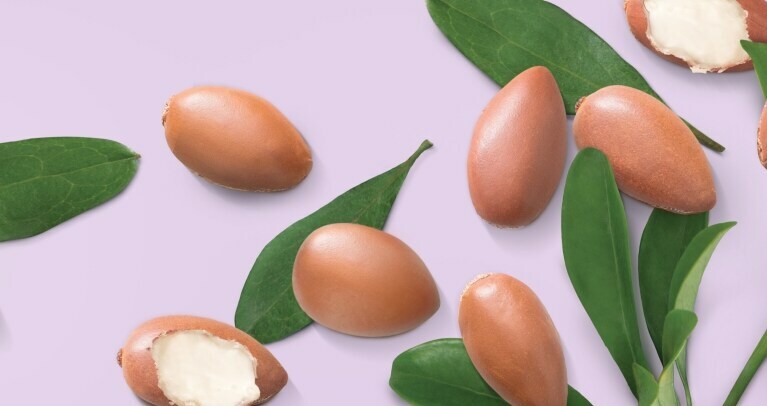 Our argan oil is harvested from Morocco where the trees are cherished as a barrier against the dryness of the Sahara, and the oily fruit is used by the locals to nourish and moisturize dry skin and hair. The argan nuts are hand crushed to retrieve the argan seeds, which are then used to extract the golden oil. Discover a nourishing oasis. When your hair and skin feel like a desert, our formulas infused with golden Moroccan argan oil, which is known to be moisturizing, will give you what you need to feel refreshed and restored.